Hertfordshire is also called as ‘Herts’ for short, just like Buckinghamshire is called ‘Bucks’.It used to be area allocated to a fortress constructed at Hertford under the rule of Edward the Elder in 913. 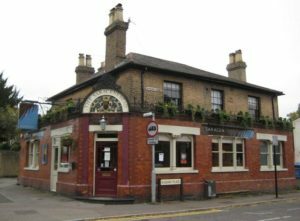 The name Hertford is derived from the Anglo-Saxon heart ford, which literally means deer crossing (of a watercourse). No wonder many of the emblems feature deer. 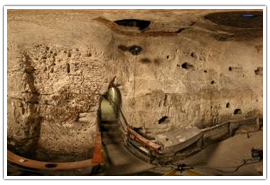 Evidence suggests that there was humans habitation in Hertfordshire from the Middle Stone Age. 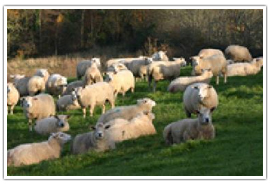 First farming took place in this area during the Neolithic period. History suggests that at beginning of the Bronze Age there were permanent settlements. 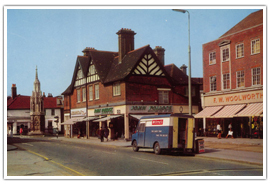 Hertfordshire has important trading towns and market centers, but the most important of all is Stevenage which became the first town in the county to be awarded the status of New Town (a town that received powers from the parliament to develop its own housing and administrative centers). 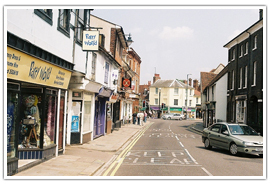 Hertford is the county town of Hertfordshire and is famous for its outer-suburban populations of wild deer. Points of interest in Hertford include Hertford Castle, built in 911 by Edward the Elder, Hartham Common, a large park in Hartford used for a multitude of sports, as well as the Church of St Leonard, Bengeo. Twinned with Evron in France, the town center is picturesque and quaint and has good shopping and transport links. The Four Swannes sign, a replica of the oldest known surviving public-house sign. 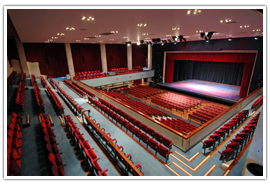 Waltham Cross has excellent links with London, with a large bus station in the town center. 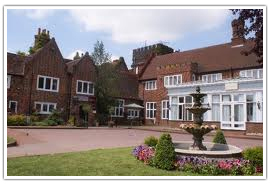 Hemel Hempstead is a market town just 24 miles to the northwest of London. 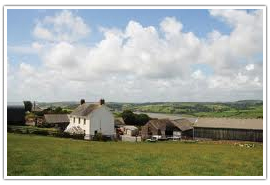 It has been in existence since the 8th century and is mentioned in the Domesday Book as “Hamelamesede”. 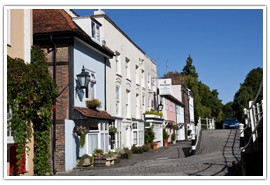 In Hemel Hempstead town center there is very good shopping with points of interest being Apsley Lock Marina, St Mary’s Church which was built in 1140 and several large parks, home to the town’s bowling, cricket, and sports clubs. Hertfordshire has some very scenic parks and gardens, and has some surprisingly good walks, despite being so close to Greater London. 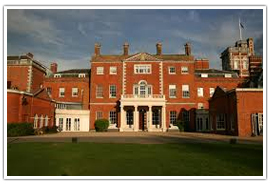 Brocket Hall is a wonderful old country house that was built in the 13th century. 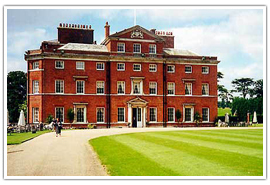 With gorgeous open, rolling lawns and beautiful collections of flowers as well as towering oak trees, Brocket Hall also offers weddings and event management. 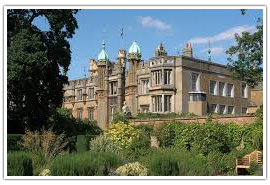 A beautiful gothic mansion resting in 28 acres of absolutely beautiful manicured gardens, Knebworth House has a large selection of trees and ornamental bush and flower arrangements. With avenues of lime trees and an intricate maze, there are also kitchen gardens, a sunken lawn, and pool as well as a lovingly maintained herb garden. This grand old house was built in 1611 by Robert Cecil, the first Earl of Salisbury. The garden proudly boasts sundial gardens, foreign fruit trees as well as the famous Knot Garden where the late Elizabeth I spend much of her younger years. There is a beautiful park here too, home to roaming stag and deer, and visitors are permitted to stroll around these grand old grounds, enjoying the beautiful displays of spring bluebells and wildflowers. 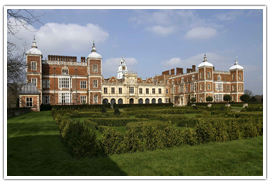 View the website here: Hatfield House. Hertfordshire has its borders on the doorstep to Greater London and is an extremely busy county, with plenty to see for all tastes. 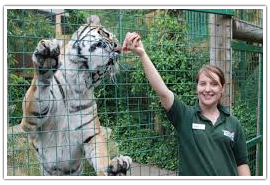 Based in Broxbourne, Paradise Wildlife Park has over 400 animals, and visitors to the park can feed every single one of them with the specially designed feeding equipment giving visitors a way of interacting with the animals in total safety. With its own unique story to tell, one that dates back to the first century BC. 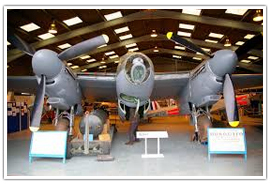 Their website can be found here: De Haviland Aircraft Museum. Established in 1977, the Henry Moore Foundation is an arts charity and proudly promotes art in all forms, chief among them being sculpture and modern contemporary. Based at Perry Green, the sculpture exhibitions are among the finest in the world. View the website here: The Henry Moore Foundation. 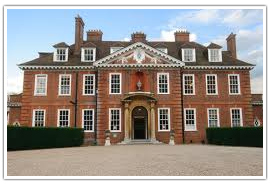 Hertfordshire has a multitude of enjoyable visitor attractions for all ages. 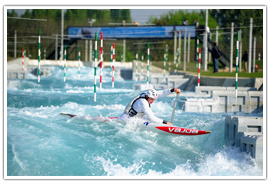 Lee Valley White Water Centre was built for the London 2012 Olympic Games and has now thrown its doors open to the public. Visitors to the center can enjoy a white-knuckle ride along thrashing, swirling man-made rapids or try kayaking and canoeing. Hertfordshire is one of the royal counties and has a strong affinity with this most mellifluous and enjoyable custom, afternoon tea. 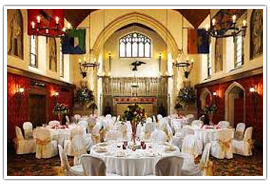 Hanbury is a Jacobean style manor house built by Edmund of Hanbury and has a baronial oak hall in which to enjoy high tea. 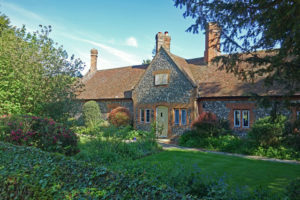 Situated not far from Warner Brothers Studios and St. Albans, this beautiful old manor house serves delectable tea and scones in the warmth of its cozy tea rooms. 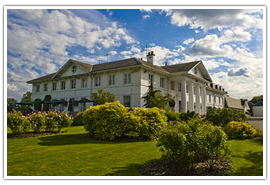 Being one of the royal counties, Hertfordshire has a long association with elegance and English grandeur, with fine wedding locations in some of the country’s most spectacular houses and hotels. 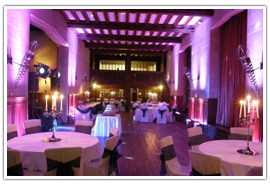 Fanhams Hall hotel is like something from a fairy tale with grand buildings, beautiful grounds, and stunning gardens. Dyrham Park is set in hundreds of acres of well-maintained gardens and can boast of beautiful countryside surroundings, while still being close to central London. Considering its close proximity to London, Hertfordshire has some wonderful scenery and is a favorite among campers and caravanners.